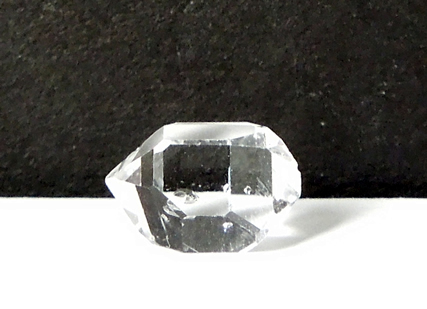 A sharp double terminated Herkimer Diamond with a tiny double terminated seed crystals within. 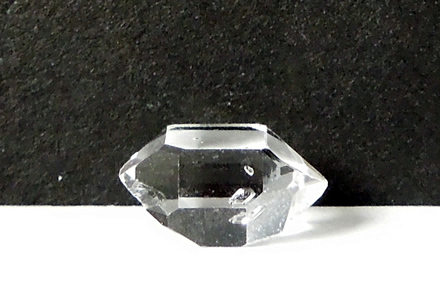 A seed crystal is a teeny double terminated crystal completely encased in the larger gem. 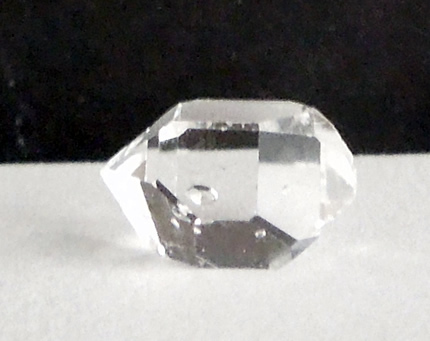 The smaller, of course, formed first, and it is very likely that these tiny baby crystals acted as seed hosts for growing the larger Herkimer Diamonds later. 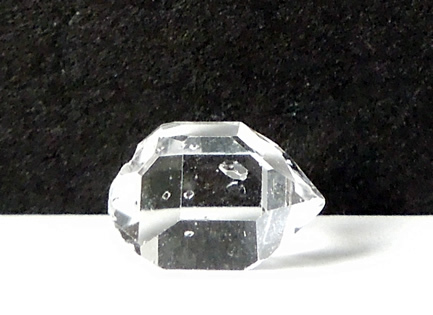 The larger seed crystal is clearly seen with the naked eye and both are seen in the images. 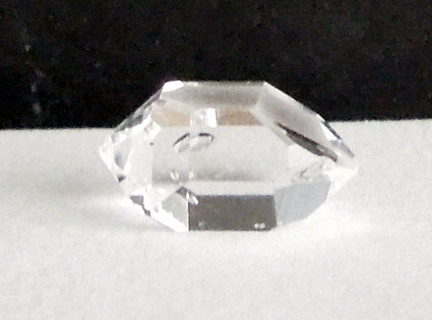 Viewed with a loupe is even better ! 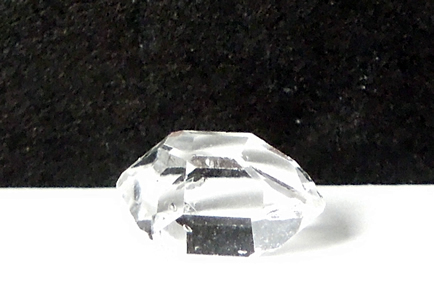 The images don't do this AA grade Herkimer Diamond justice, it will not disappoint!